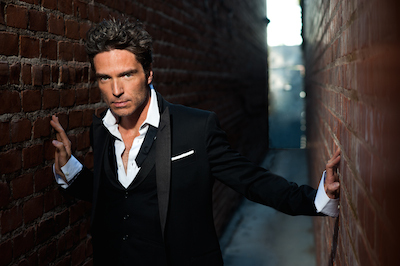 Richard Marx returns to The Newton Theatre. Photo provided. 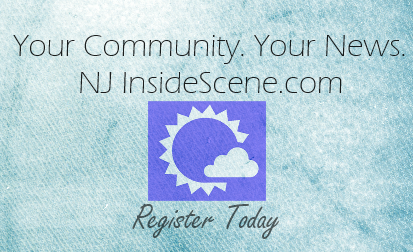 NEWTON, NJ – The Newton Theatre is pleased to welcome the return of hit artist Richard Marx on Friday, May 20, 2016 at 8:00 pm. Tickets will go on sale to the general public on Friday, January 29th at 10:00 am. As a performer, songwriter and producer, Richard Marx’s nearly three-decade-long career has had innumerable highlights. The Chicago native has sold more than 30 million albums worldwide, starting with his self-titled debut which generated four Top 5 singles, including the chart-topping Hold on to the Nights, and the Grammy nominated Don’t Mean Nothing. The follow-up, 1989’s Repeat Offender, was even more successful, hitting #1 and going quadruple-platinum with two #1 singles, smash hits Satisfied and Right Here Waiting. When both albums Rush Street and Paid Vacation went platinum, Marx achieved a seven-year string of triumphs that rivaled any in pop-rock music history. To this day, he is the only male artist to have his first seven singles reach the Top 5 on the Billboard charts. For most artists, that would be impressive enough – but Richard Marx didn’t stop there, also being very successful as a songwriter and producer, with songs like To Where You Are, the first hit single from Josh Groban’s debut album, as well as the NSYNC smash, This I Promise You. He went on to earn a 2004 Song of the Year Grammy for co-authoring Luther Vandross’ Dance with My Father. Across all formats, Marx has scored an amazing total of 14 #1 singles (including Keith Urban’s #1 hit Long Hot Summer) both as a performer and songwriter/producer, making him a true multi-talented threat. He has also written with Jennifer Nettles, Sara Bareilles and Vince Gill. He holds the honor of being one of a handful of artists to have had a number one hit in each of the past four decades. In 2010, he released Stories To Tell, a greatest hits album which produced a Top 20 AC hit in When You Loved Me. In 2012 he released his first ever Christmas album, Christmas Spirit. Marx also supports many causes, from donating the royalties from his hit single Should’ve Known Better to the NYU Medical Center for pediatric cancer patients, to his recording of Children of the Night, bringing attention to the plight of homeless children on the streets and raising more than $500k for the Children of the Night Foundation. He has performed benefit concerts over the years for the TJ Martell Foundation, Toys for Tots, Make-a-Wish, the American Cancer Society, Best Buddies and the Special Olympics. He and his band entertained the U.S. troops stationed in Germany and, he hosts an annual event in Chicago for the Ronald McDonald House Charities. Marx has also organized an annual all-star benefit concert for the Cystic Fibrosis Foundation, raising more than $4 million for research for a cure. Tickets for Richard Marx range from $34.00 to $49.00. Purchase tickets by visiting www.thenewtontheatre.com or contact the Box Office at 973-383-3700.